New to the world of amateur radio data modes? We can help. On this page, you’ll find the latest copy of EssexPSK, a free application that lets you decode data signals on your PC. 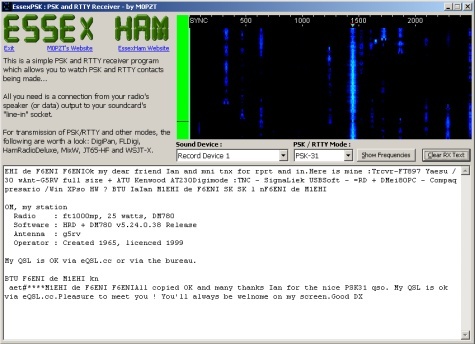 It’s a free application that can be installed on your Windows computer that decodes PSK and RTTY data signals received on your amateur radio, and lets you decode and view conversations. 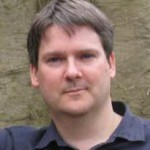 How do I use EssexPSK? 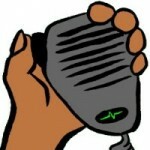 To use the application, you need to connect your amateur radio to your computer – typically, connecting the headphone output to your computer’s Line In socket will do the trick. You can even decode signals by holding a cheap computer microphone in front of your radio’s speaker. Most of the PSK activity is on HF, so you will need to tune your radio to a suitable frequency and check that you can hear the data tones. The EssexPSK app has a button that lets you view common frequencies. The other lets you select which computer soundcard input to use – In most cases, this will be the default soundcard, but if you have multiple soundcard inputs, use the pull-down to select the one that works. Once installed and running, you should be able to see PSK31 data signals going from top-to-bottom in the Waterfall view. Click on one of streams with the mouse and the little arrow at the top will show the stream selected. Note that the thicker streams indicate the faster PSK63 mode, often used in contests. Hopefully, you’ll find EssexPSK of use and it’ll provide you with a basic feel for what the mode has to offer. If you have any questions or problems, please add a comment in the section below. The EssexPSK application has kindly been created for us by Charlie M0PZT, creator of the PZTLog logging application, and allows for decoding of PSK31, PSK63, PSK125 and even various RTTY signals. It’s been made available for non-profit use to help people get started with data modes. Thanks very much for the EssexPSK. I have been listening to DX using publicly available WebSDR websites. I installed EssexPSK, rigged up a microphone to the speaker, and there it was. My first ever PSK31, and I never switched my rig On. Charlie, I really appreciate the energy you expend on Ham things. I am now DMR enabled and PSK31 enabled thanks to your efforts.